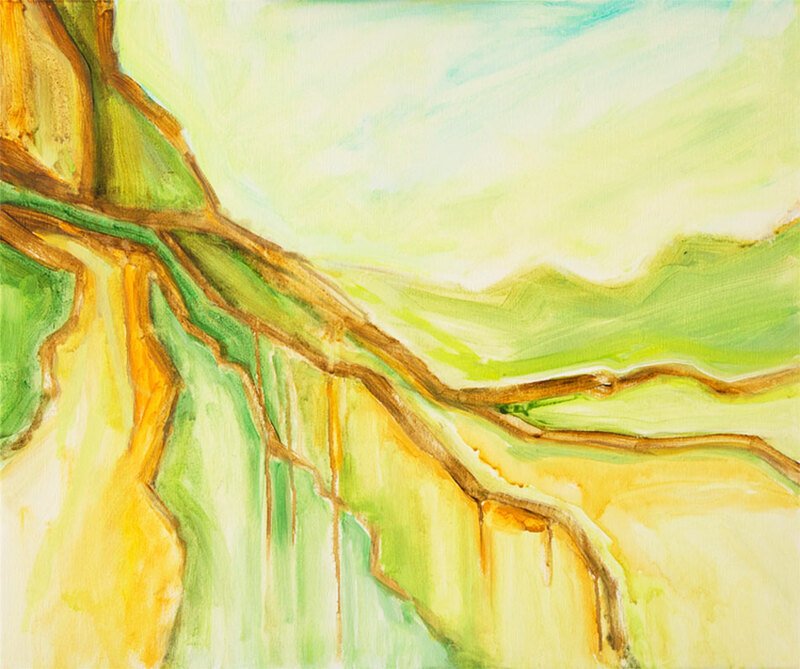 Green Field Streams 20" x 24"
This is a beautifully flowing fresh landscape abstract with organic terrain shapes and colours. It measures 20" x 24" and is on stretched canvas. The image continues around the sides and it's ready to hang as is or can be framed as desired.